“Icarus” out now in North America; LP format details; Special hometown show! 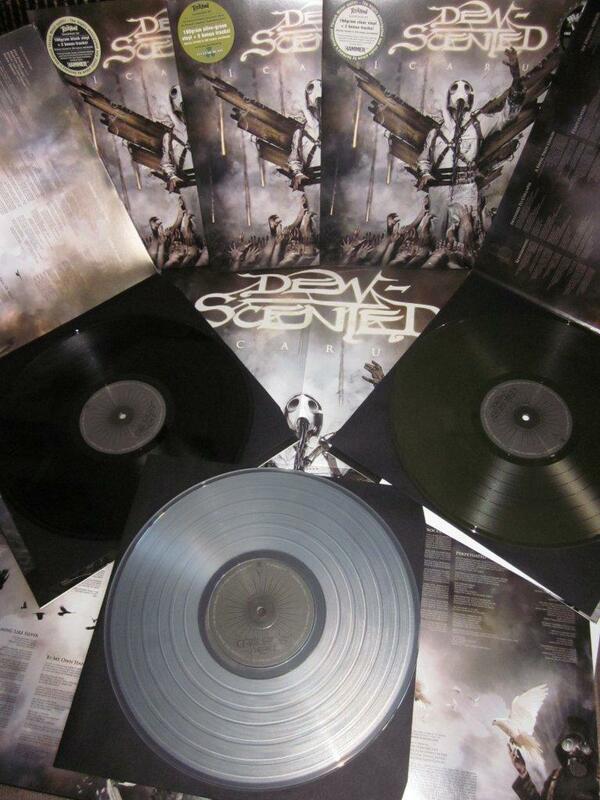 The olive green version is available via the Nuclear Blast Records mailorder / online shop. “Icarus” out now all across Europe! Feel free to check out a full album stream courtesy of Invisible Oranges here. “Icarus” ab heute in den Läden! Promotional “Icarus” full album stream available! 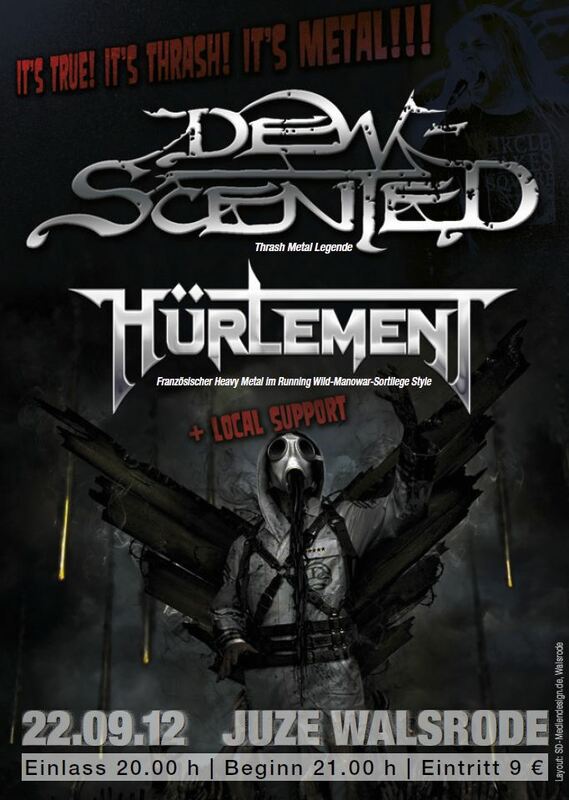 Also, thanks to everyone who joined the DEW-SCENTED shows this past weekend at the Metalsplash and Queens Of metal festivals. 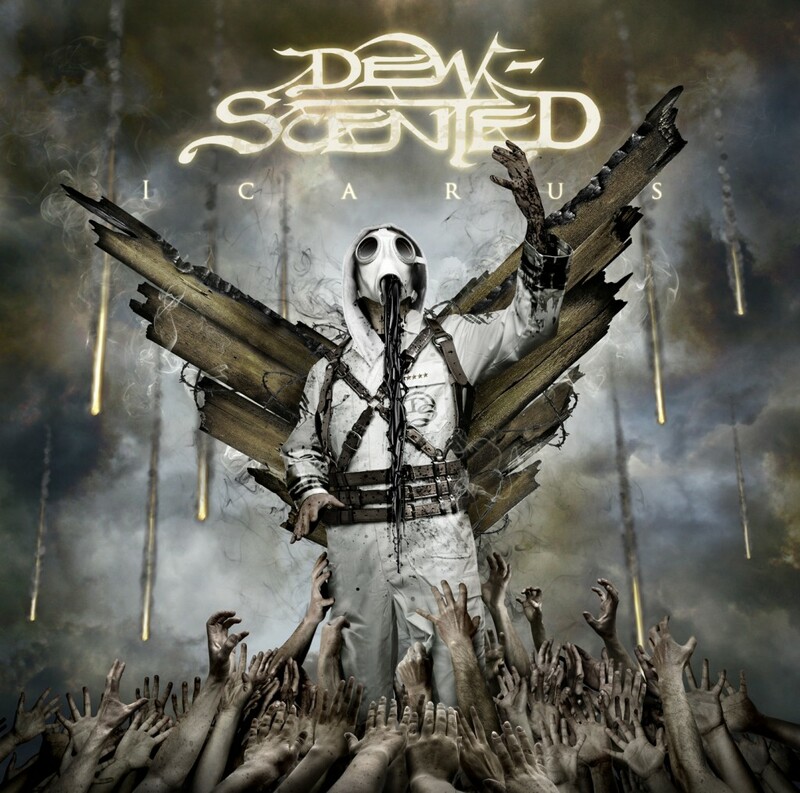 You made it a great return to stages for DEW-SCENTED in its new formation! Thanks a lot!!! Lyric-Video for new song “Storm Within” launched online! “I really dig how the riffs and drums in ‘Storm Within’, have almost a mechanical feel to them. I thought it would be cool for Dew-Scented to do a heavy double bass driven song with a lot of heavy, chugging guitars. So I took the chance to make it happen. The heavy character of the song also allowed Leif to do some deeper vocals. The deep vocals fit the song perfectly and add a bit of extra dynamic to the album. Chances are, that this song is gonna go down really well when we play it live”. Also, as brief update for the upcoming live shows, German Death Metallers Deadborn have been added as opening act to the shows with Six Feet Under and Gorguts will be appearing at the show in Essen’s Turock on August 15th as well.